Updated numbers from Statistics Canada showed that the Canadian household debt-to-disposable-income ratio stood at 165.3 per cent in Q1 2016, only slightly below the record-breaking level of 165.4 per cent in the last quarter of 2015. In David Parkinson’s report for The Globe and Mail, StatsCan said that the relatively appreciable growth in household disposable income quarter over quarter—as reflected in the 1.2 per cent increase in total household net worth in Q1—did little to offset overwhelming debt levels. As of the first quarter of this year, total credit market rose by 0.5 per cent to $1.93 trillion. 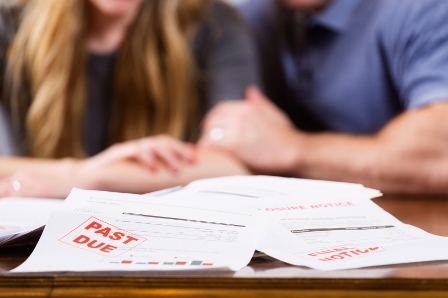 The latest figures from the national statistics agency also revealed that mortgage liabilities shot up to 65.6 per cent in the first quarter, while the household debt service ratio grew to 14.8 per cent in the same period. Observers attributed these developments to more active borrowing in the country’s hottest real estate markets. “Debt accumulation is being underpinned by increasingly large mortgages in Vancouver and Toronto, where home prices are rising at a rapid pace against a backdrop of low interest rates and solid economic fundamentals,” Royal Bank of Canada economist Laura Cooper stated in a report. “The risks emanating from household financial stress bear close watching, although there is little evidence of deterioration at this stage – stable debt service costs, low mortgage arrears and buoyant home valuations are supporting asset values,” Cooper added.